Hello from the far north! Time is running up here. It is March already! Which means we are approaching the time of eternal sunshine! Well, ok, it still takes some time for that, but it is pretty much just around the corner. 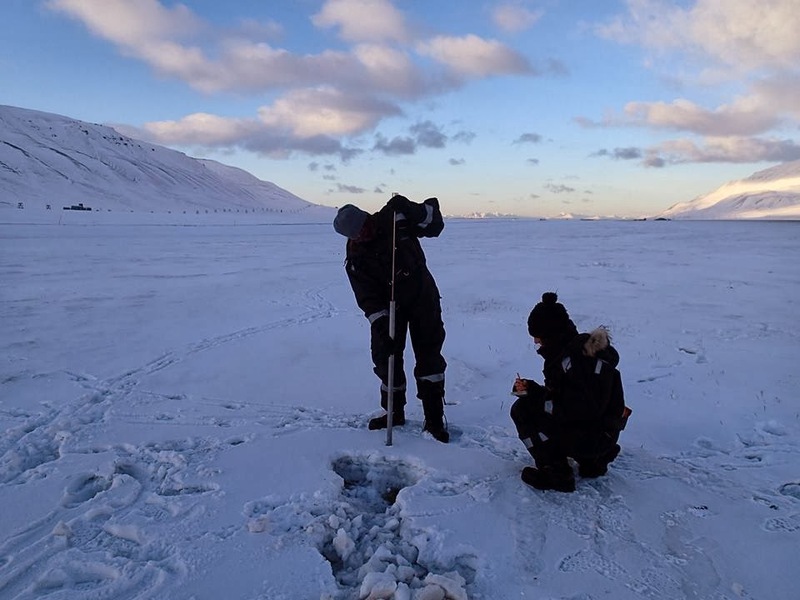 Soon (8th of March), the sun will face Longyearbyen for the first time this year and already now, it is getting a bit brighter and daylight lasts a bit longer every day. It is amazing how fast it changes and how überexcited we all are getting. I have seen the sun last saturday for the first time since I am back up here. We made a trip on our scooters (yes, I bought one, too) to Barentsburg. It was quite cloudy in the beginning and we didn't expect to see sunlight or even the sun at all. Just a few hundred meters before we got into town, we made a small detour up a hill and there it was: Bright, yellow-pink-orange, warm (not really), cosy, epic and amazing! You really learn to appreciate the sun when you have to wait for it for so long. Screams of joy followed by half an hour pure silence and lying in the not very strong sunlight was our reaction! Barentsburg itself is a cute, little, communistic town. In documentations it always looks really sad and depressing. When we've been there (still with pinkish sunlight), we were pretty impressed by the sort-of-modern architecture and also the very old buildings and cars (and a wee cabin saying "Neutron Monitor" whatever they are doing in there). I also got new skis last week and, being a total newby to this, I will have to find some people that are patient enough to spend their time with me. But I assume they will enjoy watching me falling over and over again and again. The last three days, tons of snow were coming from the now finally clear sky which means: awesome scooter and ski tracks and high avalanche risk! There are already several small avalanches (no harm to anyone) coming down right behind our barrack and the cornices up the mountain are huuuuuge. So we always take our avalanche kits as soon as we are going on a trip. As part of the safety group, we are arranging another avalanche rescue training for the students at the moment. Here, we will practice skills like using avalanche beacons, probes and shovels efficiently and how to organise chaos in an avalanche situation. Important stuff! On Wednesday, we have been to Svalsat as part of the Arctic Environmental Management course. It is the big satellite dish area up Plateaufjellet and it is of great importance worldwide! 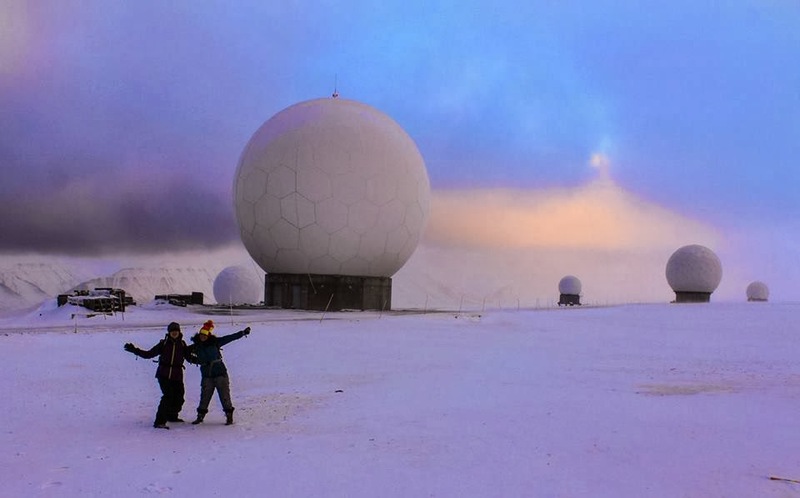 All weather data that is used all over the globe comes from here. And much more. Svalsat delivers data to their costumers all over the world. The reason it is so far north is that the orbit of a satellite covers the area of reception 14 times a day which decreases towards the equator. So, more data can be downloaded the closer the station is to the pole. About 30 antennas download every sort of information the customers want. This is apparently also in the focus of politics as, according to the Svalbard Treaty, no military use may be made of anything on Svalbard. Quite contradictory every now and then, but so far, they didn't have any severe problems. Yesterday, I have seen the sun a second time. Just out Adventdalen when we've been out on a field trip to collect reindeer faeces. From these, the carbon/nitrogen ratio can be determined and the quality of their food controlled. This is done in regular intervals to monitor reindeers throughout the winter. It can become difficult for them to find food at all when thawing and freezing periods succeed each other. Ice layers form in the snow which can make it pretty hard to get to the ground. Here you can also see what crazy distances some individuals travel. 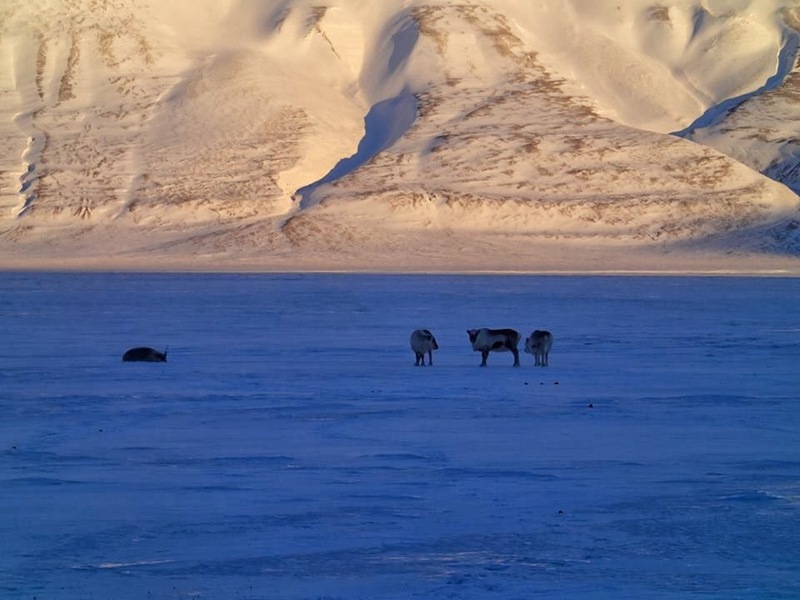 There are much more on Svalbard and in winter, chances are always good to get to see some. So that is on the agenda for the next days/weeks!